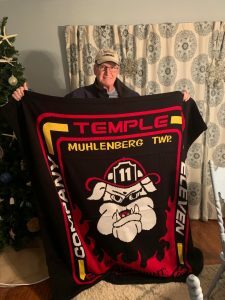 The members of the Temple Fire Company would like to welcome home Retired Wyomissing Career Firefighter Linwood “Woody” Ohlinger from his stem cell cancer treatment in Philadelphia. We are very glad to here your back in Berks County with your family and loved ones. Woody’s tie to Berks County is like one of no other. Everyone knows Woody. 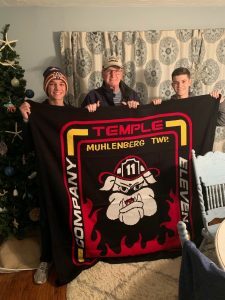 His son in law Jeff Smith was a former Lieutenant with us and now is also a career firefighter in Wyomissing. His Grandson is in the process of becoming Junior Firefighter with us. 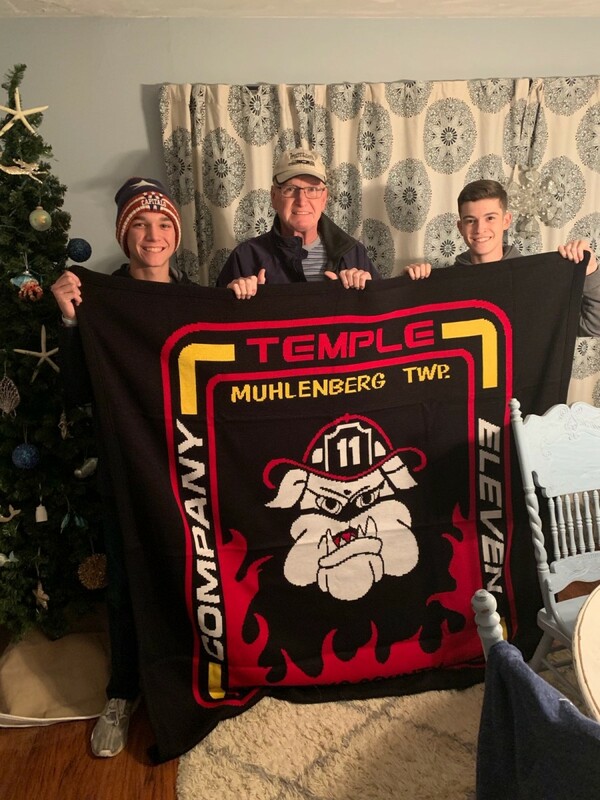 Jr Firefighter Drue LaFaver went to welcome Woody home with grandson Antonio Cipolla and to present him with a custom TFC Blanket to snuggle with. No one outside the TFC had one unless they were once a member with us. Stay strong Brother! Keep fighting the fight!